I’ve always known my daughter has a learning disability. She struggled in Kindergarten so I started homeschooling her in the 1st grade. I also had her evaluated that year by the school system to try to get special ed for her. They found her ineligible. So I continuedto homeschool her since I didnt want to put her in school knowing her struggles. Finally after 3 years of homeschooling she had not made a lot of progress in reading so I requested to have the school test her again. This time they found her having a “specific learning disability.” We wasted so many years. So my question is, can I sue the school system for failing to identify her disability the first time? My daughter is home school and I’m thinking of putting her in public school. I was wondering is there going to be a test where they see where your students are at? if there is and they’re below the average, what happens? do they get held back? I have requested for both my kids an IEP to be done at their middle school. I had the meeting to sign the assessment on September 23, 2016 but on Wednesday September 21, 2016 the school district decided to go where i reside to verify if i live there. I wasn’t home nor was i aware of this until Friday September 23 when i had the meeting and was told they would not go ahead and proceed with the IEP until my home gets verified. My concern is that I rent a room and the people who i live with don’t agree with their home being checked nor having other people go inside there home. They have asked me to move out before November 1st and i don’t know what to do. Now i need to find a new home and meanwhile my kids wont get their special needs testing. Is there anything i can do so they could proceed? I’m curious why do they need to do a home check for an IEP? That I have never heard of before so I’m just curious. My son is 7 years old diagnosed with reading dyslexia ADHD. I’m fighting the school for two years to get him help. I just realized this year there are rules and laws. what law or rule can I put in front of the schools to say you must help? what is my next step? he is getting violent because he could not understand it and he is going to hurt someone. I need the help and the school is denying it. he is also going to speech therapy. just need one rule or law of the many I have read to say You must help. please help me. hi, you can contact an advocate in your area to help you with that. I had to do that with my grandson. Look up the IDEA act on your computer. My grandson has had an IEP (individualized education plan) for 6 years and schools still will try to get around helping that child. I finally hired an advocate to go with me to the school meetings. I also had a legal aide lawyer go with me to make sure the school adhered to his IEP. 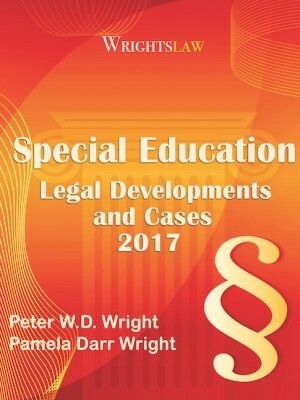 People are taking schools to court because of ignoring the LD children. It’s a shame. With very few details in your question, it is difficult to tell if this would apply. My 5 yr old is having problems with behavior in kindergarten. Cussing throwing things throwing fits. Leaving the class. They want to do extra testing and need me to sign a permission form. What kind of stuff are they gonna do that requires a permission form? My son has been having issues in school and has been retained in 1st this year. He was recently diagnosed with adhd. Last year i asked for testing or what we could do. School told me they are going to retain him and give an extra year in 1st grade. The school wont do any test. They stated they would just give him extra time on tests. I took him to a dr to get tested. The school wants me to pay for the school evaluation and then also the counseling they will provide weekly. Is this how its supposed to be? What are they required to do by law. This is a consultation school. You should NOT have to pay for an evaluation! That is crazy. Ask them for a child study team IN WRITING (all correspondence should be in writing. Schools are less likely to break the law if there is a paper trail). They are legally obligated to provide that in the USA. If they refuse tell them you will contact a lawyer. That should scare them. 1. 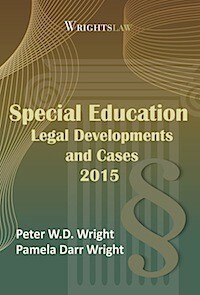 Do all states have Pre-K class in public school for 3 years old (For developmentally delayed kids)? 2. when we move to a different state, will she be eligible for a public school in the other state, just because she is in the public school system already? 3. Is there any reason, they can deny her in the public school in a different state (She is just 3 years old)? 4. If she is eligible, can we have the current IEP of her in the new school? I know all states have Pre-K classes but some are in public schools under a different program. You would have to check the state you are moving too. Even if you do move to another state she can go to a public school if they have Pre-K class. However if she is of school age by the time you move then the public school must take her. If you move while she is in Pre-K they may deny it because not all Pre-K are in public schools. Yes you can have the IEP transferred into the new school. We are in MO.We have had issues since K,went to behavior therapist,ADD testing,FINALLY did 3rd party testing with Applied Learning,met with school,they said thanks and that was it(didn’t even put in his records).Ped advised we needed to request SPED testing,we did,they have a team along with a process coord. who determined he didn’t meet the criteria for testing.In fact referred him for the gifted program testing.In the meantime our Ped sent us off for OT eval,Speech and Reading eval over the summer.He has been diagnosed with Dysgraphia and Dyslexia.In preparation for the school year (3rd grade) I reached out to Counselor to ask again about SPED testing and support plan this year.Side note:gifted testing came back with an overall IQ of 111 however memory recall was in 1%.What can I do? Sarah, you need write a letter to request a special education evaluation for your son. In your letter, provide a brief summary of his reading difficulties and what you have done or help you have requested. In our book, From Emotions to Advocacy, we include sample letters that parents can use in these situations. Don’t blame. Give facts, not feelings. Before the school can evaluate a child, they need the parent’s informed consent. To speed things up, include a statement in your letter that you give your informed consent to the evaluation. In your letter, emphasize that you want to communicate with the psychologist prior to the evaluation. I volunteer as a class aide in an adult ESL program at a community college. I’ve been working closely with one student in particular for five months. They are one of the best English speakers in the class but they’re illiterate in their first language (Spanish). They’re still struggling with the alphabet and can’t tell the difference between words such as “to” and “the.” One of the instructors from last term mentioned to me in private that this student might have a learning disability or memory issues. Is there a way to suggest the student be tested for a learning disability or other kind of disability without it being perceived as discrimination? Would hate to see them keep struggling and not make progress. 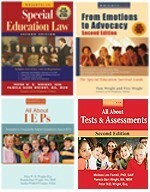 We are new to all this IEP stuff, and have made every mistake along the way. Our school is notoriously hard to work with for special needs families (imagine hearing a giant “UGH!” every time you say your school’s name to child advocates or former students). Last fall, after our son met with the school psychologist, she recommended to us that we have him tested for Autism at the local Easter Seals because she used to work there. We still have no idea whether or not he was tested at the school, but we did not know at that point the school was required to do an ADOS. We assumed the testing would be free, but were recently hit with a $450 bill for it. 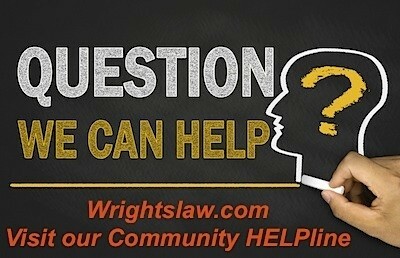 We recently hired our own advocate, and are thinking about an ed attorney. Is there a way to get the school to pay for the Easter Seals eval? Suggest you get a comprehensive psycho-educational eval of your daughter by a child psychologist in the private sector. Depending on the evaluator’s findings, s/he may recommend additional testing – for example a speech language or neuropsych eval. If a child has a learning disability, identifying it early and getting appropriate help is so important. Good luck! I have a 5 year old granddaughter who is a student in a Kindegarden class at a local, well known school. It is the latter part of the year, and she is struggling in math; adding, and subtraction. My daughter thinks she may have a learning disability. She is very little, and she was born premature. However, she is VERY active, and smart, and funny. The legal guardian needs to put in writing that she wants a meeting to discuss the students progress. Presuming the teacher has noticed similar issues in mathematics, ask what interventions have been employed thus far. Does the school have RTI or SPL? These are general education initiatives that give students extra help without the need for identification of a Specific Learning Disability. As a group, you can come up with strategies to help the youngster. Unfortunately, it is extremely difficult to find a learning disability in kindergarten or even 1st grade. I took my daughter out of public school when she was in kindergarten due to her being bullied and she wasn’t progressing in her reading. I discussed this with her teacher and was told she was too young to worry about a learning disorder. I homeschooled her the rest of the year and into first grade before I spoke to the school again because she still was not progressing. I was told that because she was not a student in their school and they were not getting money for her they were not allowed to test her for anything. I had the testing done through her pcp. She was diagnosed with a learning disorder. I have since reached out to the school for testing of adhd and was actually told that since the state doesn’t give them money for her it is illegal for them to test her for anything. Has anyone ever had this problem ? There seem to be a few issues here. First, since she is home schooled, the school may not be obligated to provide special education services. However, they are obligated to conduct an evaluation if necessary. Second, if she were to go back into the public school system, she will be placed according to the grade she was in when she left public school unless you can provide documentation that she mastered that grade level. Finally, ADHD is a medical diagnosis. If your daughter has a medical diagnosis of ADHD the school can provide accommodations or modifications if needed. This diagnosis comes a physician and NOT from the school. The physician also needs to note the severity of the disorder….mild, moderate or severe. is it legal for teachers to have your child assessed without your permission in play school? I am not certain what play school is, but schools can assess any student without consent if it is a routine assessment that is administered to ALL students. For any individual assessments, parental consent must be obtained. I have a son who is failing math, I asked for a tutor. Two months after asking, the principal sends me a letter saying they have no tutors and that she will let me know if they offer any interventions for his grade. He had intervention last year. Are they required to help your child get the help he needs to pass? I finally found a tutor and am happy but he needs more help at school. He has had trouble the past two years but this year they’re not offering any help. Are they required to? He really needs help, I don’t know if I am giving him or getting him all the help he needs. school is telling me they do not have a someone to give the test till 2016. Is this legal? My daughter attends an out of district public school through a tuition waiver in IL. Who is responsible for testing her? The district she is enrolled in or her home district? The district that she attends is responsible. I’m in the uk and my daughter has struggled all through out primary school I asked when she was in year3 could she be tested for dyslexia and was told she was too young I then again asked the school when she was in year 4 and was told there was no need as she’s doing well in class How ever she has now started secondary school had some CATs test and I get a call from the school asking for my permission to have my daughter screened for dyslexia which I am happy about but feel it is a little too late! Is there anyway I can make a complaint about the school/teachers I spoke to? my granddaughter, age 6, has always loved school. Her teacher feels that she is talkative and lazy, she is scared of her teacher and her red pencil. She has gone from achieving on her grade level to having difficulty with her spelling words and math problems. She brings home reports that say she is not working up to her potential and desk work that is redlined. My daughter has been working with her each night on her weekly list and helping with other homework. Now that’s a bold face lie that they told you. I live in California and my son goes to public school. I was told that teachers are not allowed to tell a parent if they suspect that their child has a learning deficiency or disability because of legality reasons. This law sounds like it is a false statement I am more inclined to think that the school district tells the teachers not to say anything because then the school is on the hook to have the child tested and if they find that the child has problems that then the school has to pay for special education services. You are most fortunate to reside in California. For over twenty years the state was forbidden to evaluate students. Since the schools have been given back this responsibility and do NOT ever want to lose it again, they most likely go by the letter of the law which is not necessarily the desires of the parents/teachers. What about home schooled students? 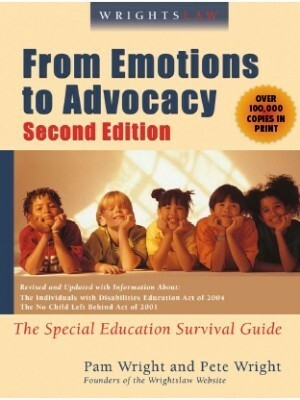 Are the LEA’s still responsible under Child Find to provide special ed services for students that are home schooled? Hi Maria. Home school laws vary from state to state. The majority of states will evaluate home school students and can find the student eligible as having an educationally handicapping condition. They do NOT have to provide an Individualized Education Program unless you enroll the student in public or private education. The State of Delaware states that it has no obligation to students who attend “non-public” schools (ie homeschoolers). By my reading of the law, this cannot possibly be what is intended by the law; Delaware has simply given homeschoolers a new name (non-public, rather than public or private) in order to circumvent the law. Perhaps it is time to amend the Federal law to close this loophole. I don’t personally want any state intervention, but some families cannot financially shoulder the load of therapy on their own and need the assistance. They should not be forced back into the public school system wholesale to get it. I wrote a letter to my daughters teacher to request a meeting to set up a 504 or IEP plan. This evening when I picked her up the teacher told me that they don’t have a teacher to teach Special ED or to test her IQ and to set up a 504 plan. She goes to a private school in Floyd County Ky., so my question is since its a state law that all schools even private schools to accommodate her needs and her teacher said that they don’t, what do I need to do next? The public schools are required to do so and private schools may request that they do so. You need to put in writing to the district that you want a students assistance team meeting or a child study team meeting at your daughter’s schools. At the meeting, concerns will be discussed and interventions can be made. 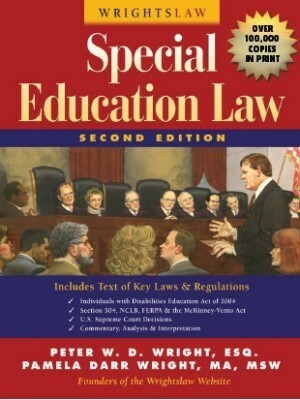 If the team, and you are an equal member of the team, decide that a referral to special education or to the 504 Team is necessary, then one will be made at that time. My daughter finally received a 504 plan through her high school this fall. She is gifted and has LDs. She is dyslexic and ADHD. She needs extra time and a less distracting area for testing. She is in an AP class, to take the SAT and for it to be valid in college. We found out on Jan 18 (all documentation due Feb 20) that there were specific testing required in order to use the accommodation given in her 504 that had never been done. Who is responsible for this testing? I would have thought this all should have been done prior to her receiving her 504. How do we get help??? If Early Start in California is for children birth to 36 months, what do I do about a child who is 45 months old and may have some delays? What agency do I contact for assessment? I have a son 11 that is ADD. I am now facing twins, age 7 with ADD and possible dyslexia or some other learning difficulty. The biggest thing I can stress is don’t give up. Put everything in writing to the school, letters, email, etc. and keep after them, threaten that you will go to the Superintendent if need be. The old saying the “squeaky wheel gets heard”. 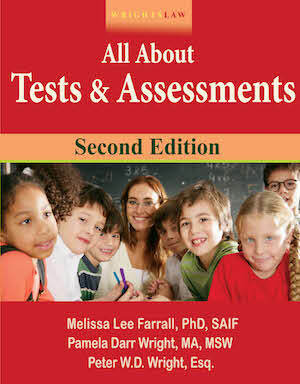 The school is required to test and because of the Disability Laws and the No Child Left Behind Act you are protected. If the school refers your child for a psycho-educational evaluation, the battery typically consists of a measure of cognition; a measure of achievement; information from the parents; information from the teacher or teachers; and an observation. If the results of all this plus state testing and other assessments and reports demonstrate that a learning disability does not exist, then no, the school does not have to pay for further testing. You should have been provided with a copy of Procedural Safe Guards aka your rights as a parent which will explain what the next step in the process is should you not agree with the decision. You were given the correct information. 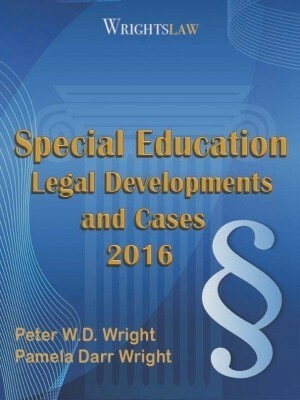 As of May 2013 and the revision of the DSM now in its 5th Edition, PDD NOS and Asperger’s no longer exist! The speech services for these types of students would either be for pragmatics or the student would be dismissed from services entirely. The School Psychologist should not have anything to do with this decision since Speech and Language Therapy is considered its own domain and that specialist is rarely involved in “Speech only” services students. Tina- it sounds like you may have gotten a good response already but I’ll see if I can add to it. Schools generally do not have school psychologists who are trained to diagnose dyslexia. That has to happen privately as you did, with a specially trained psychologist. However, with or without that diagnosis, school’s should be able to respond to your child’s specific learning needs with specialized, researched programs. 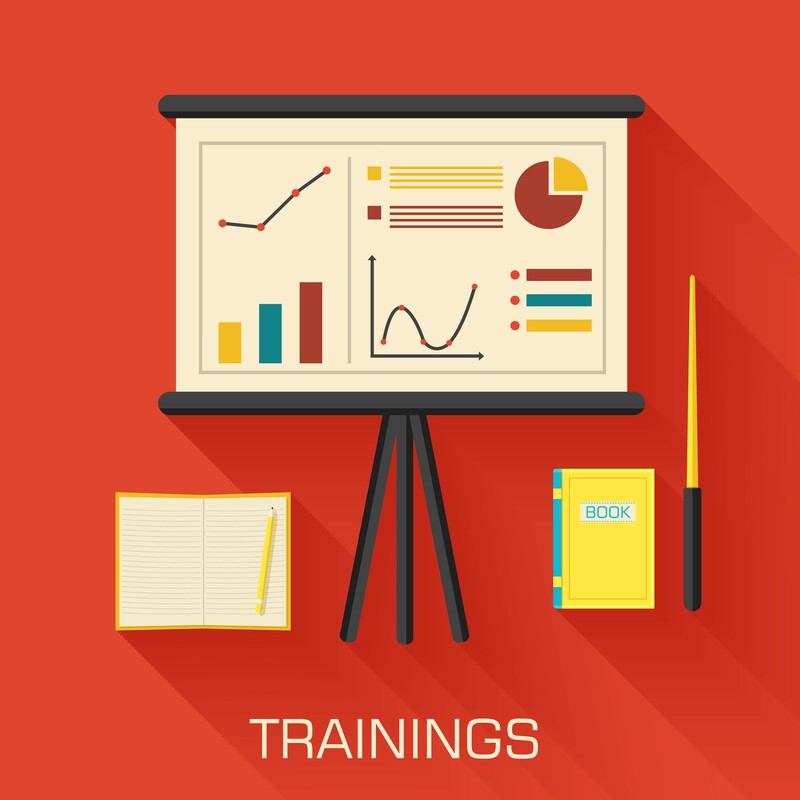 Conflicts often arise when a parent requests specific, specialized programs. As a parent you have the right to see that the school uses a researched, highly effective program directed at your child’s needs and participate in monitoring it’s effectiveness for your child. Look at what the school uses and insist on that. You cannot hand-pick a certain program but you also don’t want your child treated generically. I have had the testing thru the school done, BUT they never tested for my sons Dyslexia, I had to go out and find a Doctor who would. Now that I have this diagnosis, I am still NOT getting the help from the school that he is in , for his specific area of learning problems, and because of this, in the last 3 years my son is still at a 3rd grade reading and 2nd grade writing level. He is a 5th grader. Also I had him held back a year in 1st grade, so he might have a better chance to be at a level of learning that would not be so frustrating. The schools , “NOW, that I have this Dyslexia Diagnosis”, have snubbed there noses at me. I can not seem to get them to understand that the IEP that he was on before, and that they want to put him on again, is still NOT directed toward his Dyslexia. It is a generalized course of teaching. CAN THE SCHOOL TAKE AWAY YOUR IEP? 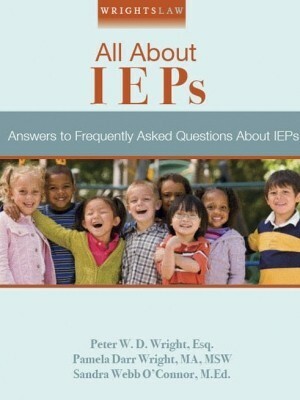 In 6th grade my son’s IEP for reading and written language was taken away which he had. He had no growth from that point on and he was already 3 years behind in grade level. Now 4 years later, going into 10th grade he is still at the same reading level. He was struggling and boarder line failing a class yet his teachers were not involved in the 3rd year review. His 1 year review from his speech pathologist had him at 3.5 grade level in reading as a 6th grader. Her review findings were not disclosed in the 3yr evaluation. This past June I took him to Lindamood-Bell for testing and the results were good in areas, 74% in vocabulary thanks to the tutor. Reading score was 16% 3.5 grade level as well as additional areas. He has the ability to learn if he had just been taught and had been diagnosed with his dyslexia. He needs extensive supplementary ed to try to close a gap of 6 years. 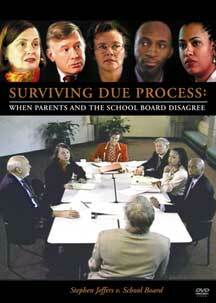 Can a judge hold the school accountable? I did beg for testing every year but told no because of his good grades. I am in the process of getting another educational evaluation from Boston Children’s s Hospital along with a neuro psych test but my fear is the assessment will not get done prior to the start of his services at the learning center. My question is, with such a huge gap in reading level and the schools gross negligence with helping him would I have a chance if I sued to get the school to have to pay for the bill with lindamood-bell service? 18 months ago our school district required a neuro-pysch educational eval to validate testing results from Lindamood Bell. The district required the eval and paid for it. So, LEGALLY, are they required to follow the recommendations provided by the evaluator and incorporate corroborating goals in the IEP? I know if the parent arranges and pays for the testing the school must “consider” the recommendations in the eval, but if they require the eval and pay for it does this change their responsibility? My son had an extensive iep from kindergarden to 6th grade. Main area of disability is reading and written language and comprehension and delayed by 3 grade levels entering into 6th grade. He had a yearly review by the speech pathologist in reading and written language and was documented the 3rd grade reading level. She had to perform testing for the 3 year review so she did auditory testing. The psychologist does behavioral for his section of the 3 yr review. These two testing areas he scored average so they canceled his IEP. I was not aware of the 3 year reading delay when they said he no longer qualified for services. He is now in 9th grade with still a 3 yr delay. I can not get the school to agree to test him since he makes good grades because I hired a tutor one on one everyday. Is the school negligent? Thanks SO much for this article. I’ve been asking the schools to evaluate my daughter for YEARS, because we’re certain she has dyslexia, and as a single mother on disability I haven’t been able to afford special testing on my own. I wasn’t aware of this mandate, and the schools have always told me she can’t get tested because she’s doing ‘fine’ and passing from one grade to the next easily. We’ll she is NOT doing fine. She consistently has to spend three times as long on homework as she should, rarely finishes tests that involve reading, and her reading comprehension scores on standardized tests are always far below her scores in writing and math. She stays upset, frustrated, and anxious all the time, because she works so hard and it seems as though the harder she works the less they want to help. My child is in first grade at a parochial school. Since kindergarten I have been asking the public school district to test him for a learning disability. He has been assessed by both his kindergarten and first grade teachers and there is substantial data pointing to a lerning disability. (Last year they made us wait til first grade) However, at the meeting (to decide whether or not to test him) the pubic school district decided that, since he has vision-perceptivity issues, that they are not ready to test him. They want us to wait until he has reading glasses before reconvening. The district wants to wait until February (to see if reading glasses improve his classwork) before deciding (again) whether or not to test him. Should I wait or file Due Process? I have been asking for diagnostic testing on my youngest son for over a year and I have been told that the school does not feel the need for it. I have also been told that he can be tested but only after the age of 8. I always get treated like I don’t know what I am talking about. I am a music teacher who specializes in special needs so I know what I am seeing with my son but getting the school to wake up and agree with me and actually test him is almost impossible. He Is in 1st grade and I called an ARD meeting for tomorrow. I have looked all over the TEA website but I can’t find the actual rule/law that says the school is required to do diagnostic testing if a parent requests. I have the hardest time getting around their site. Can anyone help? Schools will tell you what they want you to hear. if i were you, i would go to the district office and if nothing is done after that, start looking for a lawyer to write a nice letter about your rights as a parent and your child’s rights as a student. If that doesn’t work call your government offices. The school will not do anything unless they have to. remember they like good numbers showing, not bad ones…. Hello, my son is 9 & I have known that he has had a strange difficulty with reading & writing beginning in kindergarten. Holding him back in (K) did little good. He has always been behind in language arts & I have learned to do more that simply “Voice” my concerns.. However, in my child’s Ca Public School, it has taken nearly 2 years to even get some proper testing results (even read to me…!). from testing that was evidently done a year ago! ! Then to my horror; they explained that my child’s IQ had barely moved him Out of (their) scale for this Specific Learning Disability.The school has made progress nearly impossible. And Now!…I am at a brick wall as I was told that a costly private dyslexia diagnosis would not change any of his tutoring IEP for ADD?